Debt can be a heavy financial burden, and not just for your bank accounts. Widely felt, but rarely discussed, is the emotional and psychological impact that debt has on those who find themselves within its unrelenting grip. In fact, debt stress can cause a host of health problems, including sleep problems, migraines, back pains, anxiety, depression, and even heart attacks. Considering how much you have at stake when it comes to your health, it is a good idea to learn how to deal with debt stress, even before you can actually deal with your debt. Prior to reconciling your account balances, you should take a look at how your outstanding debt is affecting your own personal health — and how you can fix it. Here are five steps that can help. 1. Acknowledge your debt. For many people, simply acknowledging debt is difficult to do, whether it is because they are ashamed or because they initially cope by never mentioning it. If there’s one advantage that you have at this time, it is that many people are finding themselves in a similar financial situation. It may even help for you to find a local debt stress relief program where you can have conversations with other people who are currently in debt or who have survived it and are now giving advice about how you can, too. 2. 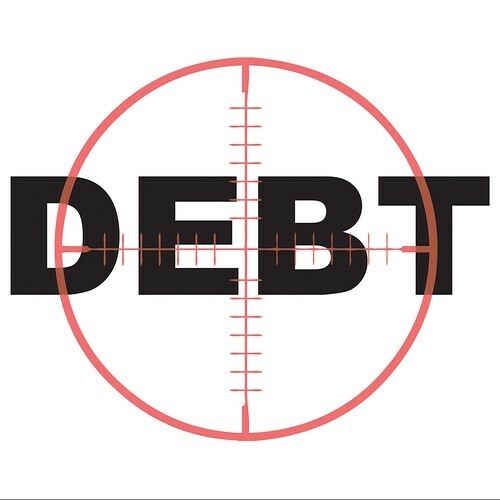 Do some research on debt reduction. The biggest single step you can take in coping with debt stress is arming yourself with information because it makes you feel empowered against what you previously thought was a no-win situation. For example, talk with your creditors to find out if there is anything they can do to help you pay off your debts, or use resources like a Consumer Credit Counselling Service or a financial advisor site that can help consumers find better deals and offer great financial advice. 3. Organise your financial obligations. Your debt may seem insurmountable in your mind, but once you put it on paper, you’ll find that it is much easier to manage than you imagined. By simply listing all of your debts and the interest that you’re paying on each one, you’ll feel more inspired to come up with a plan for paying it off. The key is to take it one step at a time and to relish any progress that you make, no matter how small. 4. Find more constructive ways to deal with your stress. Upon feeling debt stress, a common reaction is to spend more money. It may sound counter intuitive, but many people find that it gives them a temporary release. However, in order to stick to your debt reduction plan and still find ways to cope, it is a good idea to focus on your personal health and happiness, whether that means starting a new fitness routine to boost your confidence and self-esteem, or partaking in a particular hobby, such as gardening or crafts making, that brings you peace and a sense of well-being. 5. Approach your debt with a new outlook. At the end of the day, it is far better to count upon the positive forces that you still have surrounding you — such as family, health, or personal achievement at work — to fuel your efforts to stay psychologically and mentally sound. Debt is just one problem that has many solutions. Most importantly, these steps will grant you with the peace of mind that you’ll need to make good financial decisions, which is important to getting out of debt and staying there. Freeing yourself of debt is not always instantly achievable, but learning how to cope with it and how to take the necessary steps to reduce it can have a hugely positive impact on your wellbeing. Remember, money doesn’t always lead to happiness, but good health often does. About the Author: Leo Fisher is a financial advisor and consumer advocate. He advises on how to succeed financially with budgeting tips and informative resources, such as Ratesupermarket Canada.